Welcome Autumn!!! | Just Create! So…	It Almost Killed Me! Consider this post a bit of CPR for my blog! Time to revive the blog, get her off the ground and humming again! We here in Central Ohio, as many others across the country, have had a long, hot summer. I think we were being paid back for our very cold, very snowy winter and then our non-existent, very rainy spring. And I hated it! I am a cool weather, jeans and sweater wearing kinda girl. That is why I love knitting! Unfortunately, being faced with such hot weather, my crafting comes to a stop. I can’t bear to pick up any yarn, especially wool! Even fabric seems too hot to handle. 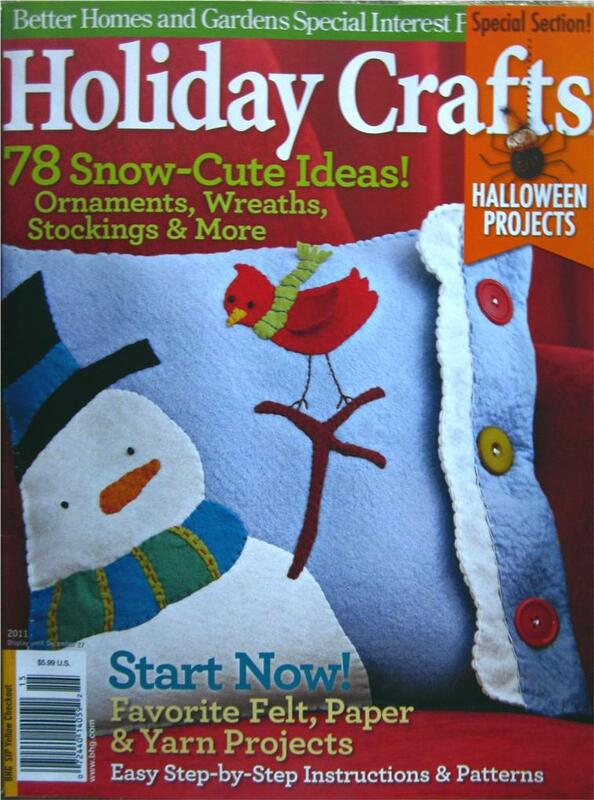 I even had a difficult time thinking about craft projects I might want to do when the weather cooled down! My kids and I spent the summer days inside many days, just trying to stay cool, or outside enjoying the sun. I have the best tan I have had in 10 years! There were visits to the zoo, the local parks and lots of days at the pool. I managed to get a lot of reading done. And then the last week has brought us a wonderful respite from the heat. After 97 degrees with 85% humidity on the first two days of September, we settled into a much cooler weather pattern. And by the end of this week, we are supposed to have highs in just the 60’s! And amazingly, I am starting to plan projects again! While I want to do some knitting, most of my projects for now are focused on sewing. I have a ton of items on my to-sew list. I have everything from hats to American Girl clothes to PJs for the kids. I am actually just starting to work on a rather large project this week, but I will reveal more once I get something more to show for it. It is a special, heartfelt project that I want to make sure gets done right. In the end, the project should help a lot of people I love in a very special way. So, consider me back from the brink. I am going to aim to post much more often – perhaps aiming for once a week, if not more – as I get back into crafting. And since everyone loves pictures, I will show the only items I made this summer. This used very little wool, was fast and easy and not something that required dealing with amounts of material that covered my lap. 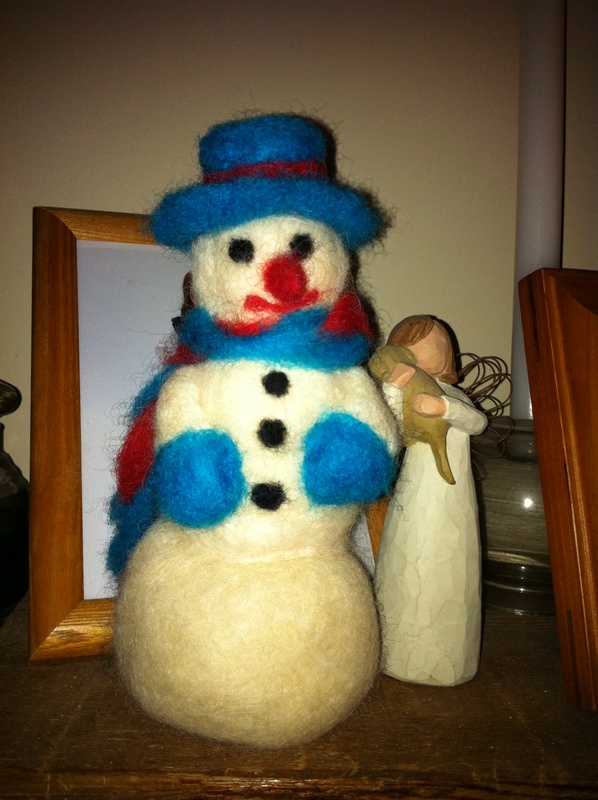 Sometimes, needle felting is just the ticket! And yes, I was dreaming of wintery weather when making these! 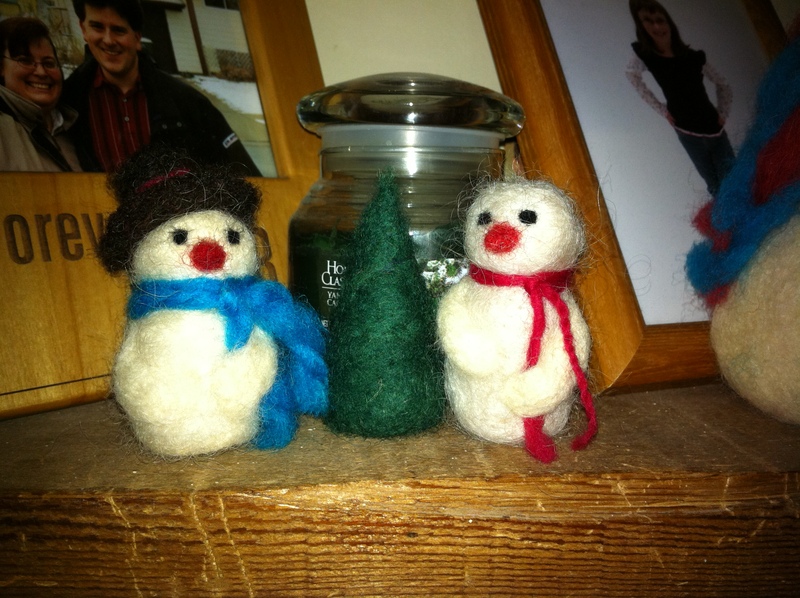 A pair of sweet snowmen with their little pine tree! Now, time to get crafting! I love your snowmen! I would add that I am also ready for hot food and drink. And our office upstairs was a hotbox all summer long, so I will be resuming scrapbooking too. I love fall!